The file holds Information relating to new developments is received daily from a number of sources including Local Authorities, Building developers and Royal Mail staff. Our Address Development Centre in Sunderland reviews this Information and allocates a Postcode accordingly. The address is then added to the Not Yet Built database - a separate file of Not Yet Built Delivery Points. Once a property is built and capable of receiving mail, it appears on the Just Built™ Database and on PAF. Not Yet Built (NYB) is a CSV product, created to identify properties under development. Great for advanced leaflet drops e.g. carpet retailers, conservatories, Satellite TV etc. UK coverage (excluding Jersey, Guernsey and the Isle of Man). 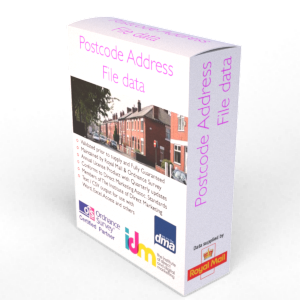 The Royal Mail data (owner of this file) is without any contention the definitive most up-to-date and complete address database in the UK. The file holds Information relating to new developments is received daily from a number of sources including Local Authorities, Building developers and Royal Mail staff. Our Address Development Centre in Sunderland reviews this Information and allocates a Postcode accordingly. The address is then added to the Not Yet Built database - a separate file of Not Yet Built Delivery Points. Once a property is built and capable of receiving mail, it appears on the Just Built™ Database and on PAF. Whenever a new residential or commercial property receives planning permission, the local authority will assign a house name and a street name before coming to Royal Mail to ask us to assign a postcode. Royal Mail captures all of these address and postcode details on our Not Yet Built™ database. The Not Yet Built™ database gives you details of properties that are being built or are scheduled to be built in the future. This data will be especially beneficial if you are involved in property and construction. Whether you are a developer, builder, materials supplier, utility company, landscape gardener or financial services provider offering mortgage and credit cards, you’ll find Not Yet Built™ a valuable marketing asset. Not Yet Built™ holds approximately 250,000 – 300,000 records, though the amount depends entirely on the number of properties currently under construction or in the planning phase. Records are held until they have finished being built and are capable of receiving mail, at which point it will be transferred to Just Built™ and PAF®. If a proposed development is abandoned or stopped then it will be removed from the file. Not Yet Built™ includes data for England, Scotland, Wales and Northern Ireland but excludes Jersey, Guernsey and the Isle of Man. Not Yet Built™ is available in three file formats: •	Not Yet Built™ Keyed – a relational style database that must be used in conjunction with the PAF® Main file •	Not Yet Built™ Expanded – a text file that gives one record for each range of delivery points listed e.g. 1-20 High Street will be shown as 20 separate records •	Not Yet Built™ Ranges – a text file that gives one record for each range of delivery points, e.g. 1-20 High Street will be shown as one record. The PAF data is licenced by the year. Various options are available including single, corporate, multi user and internet licences. The update / refresh frequency depends on the licence type chosen when you order on the next screen (see fees). Options include: Annually,	Six Monthly,	Quarterly or	Monthly.